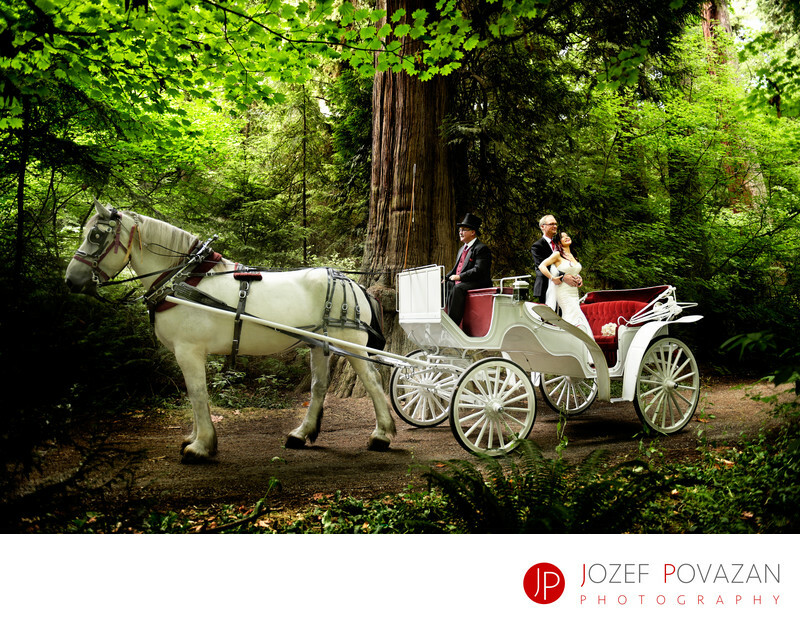 Stanley park Tea House horse carriage wedding photographer - Best Vancouver wedding photographer Jozef Povazan Photography studio. Stanley park Tea House horse carriage wedding photographer Jozef Povazan from North Vancouver best wedding studio Povazan Photography. Horses and bride with groom enjoying Stanley park shade during the hot summer wedding at Ferguson point. Top wedding pictures from this amazing venue captured by Award winning fearless photographer. Romantic horse ride to the ceremony. Location: Tea House Stanley park, Vancouver, BC, Canada.